I have a real treat in store for you. I’ve seen different white hot chocolate recipes on Pinterest for quite a while now and wanted to try my own. I added a fairly hefty dose of cinnamon and a sprinkling of nutmeg to counteract the sweetness. Place the milk and chopped chocolate in a medium saucepan over a low heat. Add the orange extract, vanilla extract, cinnamon sticks and nutmeg and stir until the chocolate has melted and the mixture is smooth. Leave to simmer for a few minutes then pour into cups. 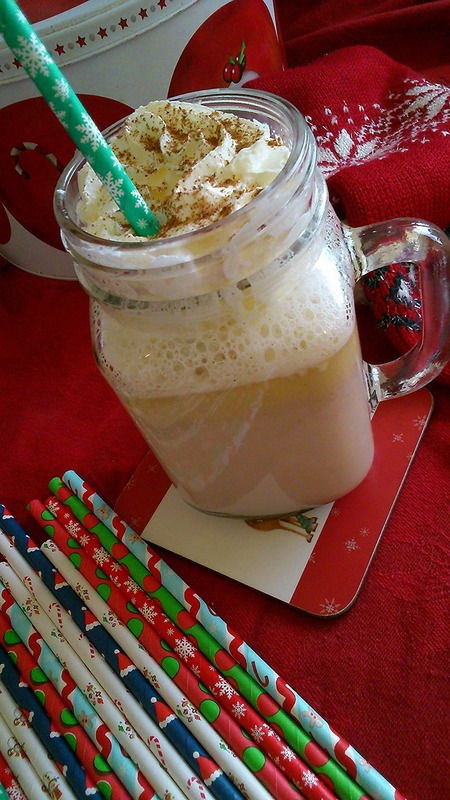 Top with whipped cream and a sprinkling of ground cinnamon and nutmeg. 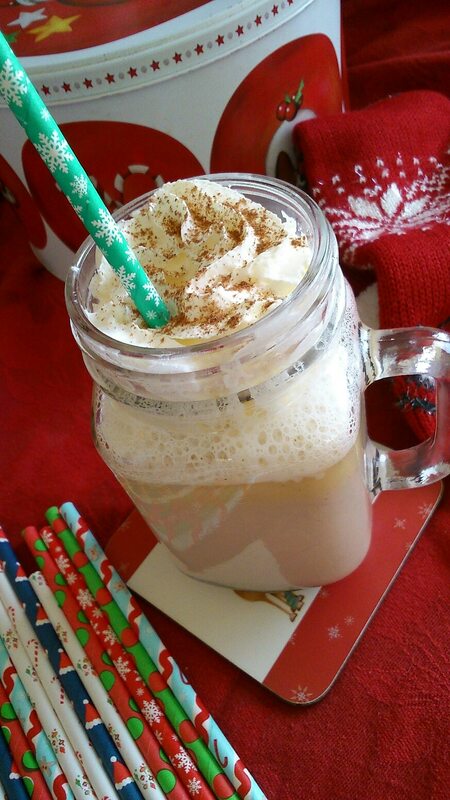 I’m ashamed to say that I’ve never made white hot chocolate, this recipe makes me feel like I’m missing out! I love your mug/glass to, very cute! 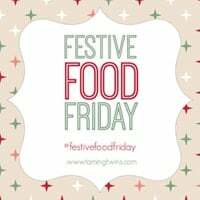 Thanks for linking to #festivefoodfriday and happy Christmas! Thanks, I hope you had a wonderful Christmas!